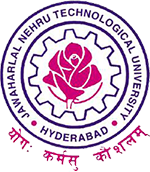 JNTUH B.Pharmacy (R16) Academic Regulations : JNTU hyderabad has announced B.Pharmacy R16 Regulation Academic Regulations for Regular and Lateral Entry students With Effect From A.Y. 2016-2017 Onwards. Note : R16 = Students who got admitted into B.Pharmacy 1st Year in 2016-17 & Students who got admitted into B.Tech 2nd Year (Lateral Entry Scheme) in 2017-18. JNTUH offers a 4-year (8 semesters) Bachelor of Pharmacy (B.Pharm.) degree programme under Choice Based Credit System (CBCS) at its affiliated colleges with effect from the academic year 2016-17. Admission to the under graduate programme shall be made either on the basis of the merit rank obtained by the qualified candidate in entrance test conducted by the Telangana State Government (EAMCET) or the University or on the basis of any other order of merit approved by the University, subject to reservations as prescribed by the government from time to time. The medium of instructions for the entire under graduate programme in Pharmacy will be English only. A student after securing admission shall pursue the under graduate programme in B.Pharm. in a minimum period of four academic years (8 semesters), and a maximum period of eight academic years (16 semesters) starting from the date of commencement of first year first semester, failing which student shall forfeit seat in B.Pharm course. Each semester is structured to provide 24 credits, totaling to 192 credits for the entire B.Pharm. programme. Each student shall secure 192 credits (with CGPA ≥ 5) required for the completion of the under graduate programme and award of the B.Pharm. degree. UGC/ AICTE specified definitions/ descriptions are adopted appropriately for various terms and abbreviations used in these academic regulations/ norms, which are listed below. Each under graduate programme is of 4 academic years (8 semesters) with the academic year being divided into two semesters of 22 weeks (≥ 90 instructional days) each, each semester having – „Continuous Internal Evaluation (CIE)‟ and „ Semester End Examination (SEE)‟. Choice Based Credit System (CBCS) and Credit Based Semester System (CBSS) as indicated by UGC and curriculum / course structure as suggested by AICTE are followed. All subjects/ courses are to be registered by the student in a semester to earn credits which shall be assigned to each subject/ course in an L: T: P: C (lecture periods: tutorial periods: practical periods: credits) structure based on the following general pattern. One credit for one hour/ week/ semester for theory/ lecture (L) courses. One credit for two hours/ week/ semester for laboratory/ practical (P) courses or tutorials (T). Courses like environmental science, human values and professional ethics, gender sensitization lab and other student activities like NCC/NSO and NSS are identified as mandatory courses. These courses will not carry any credits. Read more at official notification…..